The nursing projects in Tanzania are based in regional and district hospitals in Arusha in the foothills of Mount Kilimanjaro! The hospitals act as referral centers to other health facilities in Arusha and Manyara regions so the cases you will see will be varied. 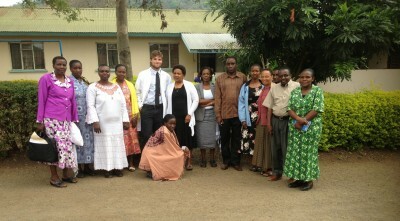 Nursing care in Tanzania is unique and you will be working alongside teams of very dedicated and professional nurses. In most regional hospitals in Tanzania, nursing staff are trained in HIV testing and counselling. Nearly all patients admitted in these regional hospitals are tested for HIV which means that this skill set is something that every nurse in Tanzania must have. Nurses in Tanzania also face a unique set of challenges when delivering care. Firstly, Tanzania, like many poorer countries, struggles to retain doctors so the nurse to doctor patient ratio is very different to home. Secondly, very poor resources mean different approaches are taken. For example the prescribing of drugs is a major problem for Doctors when dealing with the very poor. A patient prescribed a course of antibiotics can, in many cases, only afford to purchase a small number of pills and the chances of them completing a full course are very slim. Despite the lack of resources the medical staff are able perform and provide extensive services. Traditional medicine is also practiced in some of the hospitals and there is active research into areas where it has been found to be effective. Local healers are still regularly consulted in Tanzania and some of their methods are known to have very good effects. It has been known that when medicines are in short supply for patients to be advised by doctors to find specific local plants and trees to make teas and follow the traditional healing methods. Most of our volunteers stay together in the house of our co-ordinator Joshua Kuboja in Usa River, just a short commute from Arusha. Joshua has a large building attached to his house which accommodates up to 8 people (when double beds are used), or up to 16 people during the busy summer period when bunk beds are used. The accommodation is in the peaceful Arusha suburb of Usa River. This means that the accommodation is far enough away from the hustle and bustle of Arusha to be relaxing but also close enough and a short 20-30 minute commute for most of our placements. The accommodation is unique in that it means that the majority of volunteers can stay together in group accommodation, but also retains a family feel. In the evenings you can sit and relax with your fellow volunteers and gaze at the imposing Mt Meru which you can see from the veranda and on a clear day you can also so the mighty Mt Kilimanjaro. Occasionally, you might stay with local families if your placement is difficult to get to from Usa River. Hostel and hotel accommodation is also available if you prefer at an additional cost. The accommodation provided is very comfortable and spacious. The living room and bedrooms are equipped with fans. There is always electricity and plenty of water even though it may not always be running. Your meals will be provided at the accommodation. Whether you are on a journalism placement, teaching or working in hospitals, all the placement participants stay together in the same area which means that you are never far away from someone to socialise with in the evenings or travel with at weekends. The standard of the accommodation will basic and not be what you are used to at home so please don’t expect all mod cons, but it will be clean and tidy. Our manager in Tanzania, will be on hand during office hours if you have any general queries and only a phone call away outside office hours if there’s something much more urgent. The cost of the programme in Tanzania includes language lessons. Language is an integral part of Tanzanian culture so learning a bit about music in Tanzania will give you more of an insight into the Tanzanian way of life. Weekends are free and, depending on how many volunteers are overseas with you, you are based in the same accommodation which means that you can easily go travelling at weekends. Our location in Tanzania means that you are close to some of the Tanzania’s most popular attractions. Climbing Kili is very popular and recommended for a long weekend break but it can be expensive. We recommend that you acclimatise for a week or two before attempting the climb to save yourself from any potential altitude sickness. Permits and guides mean that a climb can cost over £400 so budget accordingly. Further afield, you can visit the spectacular coastline, which is without doubt one of the most beautiful in the world. Travel across to the mystical spice Island of Zanzibar is also recommended. No visit to Tanzania would be complete without a trip to one of the spectacular National Parks. If you’re with us in the summer you may just catch the Wildebeast migration! The most pleasant time of year to travel to Arusha is during the cool dry months June through to October. At this time of year, temperatures will peak at around 20-25 degrees, dropping to around 10 degrees at night. Tanzania will experiences two wet seasons (March to May and November to January). The rains are unlikely to be a deluge, most of the time they are a short sharp period of intense rainfall. Exactly how much to take is a matter of great debate but most who have travelled to Tanzania recommend that you could probably get by allowing £50-75 per weekend spending money. If you can, take a little extra just in case to allow for emergencies or those ‘must have’ souvenirs. You cannot get Tanzanian currency outside of Tanzania so it’s best to take your spending money as travellers cheques or cash. Credit and debit cards are not widely accepted in Tanzania. You can usually draw money out of ATM machines on credit and debit cards from most banks in Tanzania but this should not be relied upon. Visa cards are the most widely accepted although cards with a cirrus symbol can also be used. Travellers cheques are the safest way to carry your spending money to Tanzania as they can be easily replaced if lost or stolen. In our experience we’ve found that American Express travellers cheques offer the best service but most travellers cheques are accepted. It’s probably best to avoid ‘Thomas Cook’ travellers cheques as some banks do not accept them. You can take cash as sterling, Euros or US dollars. All are easy to change in Tanzania. Please arrange flights into Kilimanjaro Airport (JRO). There are a reasonable number of airlines to choose from. From UK regional airports, KLM is also convenient, flying from various UK cities via Amsterdam, again every day. We advise you to shop around, however, as competition is strong and deals change on a daily basis. GVP Tanzania is a locally registered NGO and that enables us to support a number of projects and initiatives. The organisation in Tanzania is run by our colleagues Laban Irhene, Elias Majogoro and Joshua Kuboja. We initially started the project when we met Laban Irhene who at the time was completing his Phd thesis in the UK. He had heard about the work that our parent body Global Volunteer Projects did and contacted us to chat about how we could work together to meet our shared objectives. Laban is incredibly well connected through his work with Arusha University, where he teaches, and also through his contacts with various NGOs in Arusha. This enables us to offer such a wide variety of projects in Tanzania. Working closely with Joshua and Elias, Laban oversees all our projects in Tanzania. Joshua lives in Arusha with his wife Beatrice (seen in the picture above with their daughter Lena) and is the Director of Maua English Medium School, our main teaching placement in Arusha. 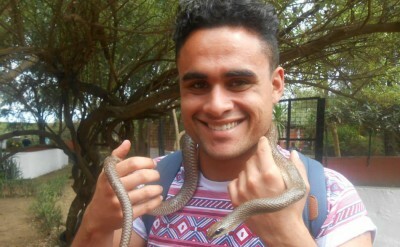 Joshua also conducts our Swhaili language course. His links with the schools and orphanages in the area are extensive. Elias also shares most of the day to day running of GVP Tanzania. Elias also teaches at the University of Arusha, where he was previously Head of HR, but has left that role to concentrate on his commitments to GVP Tanzania. As a registered NGO in Tanzania, our aim is to give young people in Tanzania successful futures through helping and preparing them for education and work. To promote sustainable solutions for a rapidly changing world; our focal-linkage is in the fields of environmental research, conservation, education and community development. To reach out to a young generation and to provide facilities in the interest of Social Welfare and other charitable purposes of benefit to Tanzania and to provide support, training and advice which enhances the effectiveness of the organization involving volunteers to promote charitable activities on behalf of the communities of Tanzania. We work alongside and with skilled local partners and our teams in Tanzania to identify and build long term projects that tackle local problems. We build skilled local teams in Tanzania that identify key issues affecting poor communities and seek to find solutions to these problems by sourcing ongoing financial support and creating volunteering opportunities. Previous nursing experience is not necessary but the projects are tailored to your interests and experience. An elective placement will be very different to a Pre-university project. We will ask for a CV and a statement of objectives when you join us so that we can match the project to your experience and aims. The nursing projects are often be combined with our orphanage projects in Tanzania and our HIV programme. Placements in large regional hospitals and busy district hospitals. These projects also include the nursing outreach projects in rural communities. Work in fast paced Accident and Emergency clinics in Guadalajara. Placements are also available in larger state run city hospitals. Our nursing placements in India are based in large multi-specialty teaching hospitals, primary healthcare clinics and smaller specialist hospitals in Trivandrum.